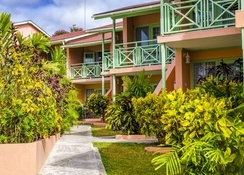 This delightful apartment complex is nestled amidst the heart of the West Coast of Barbados. 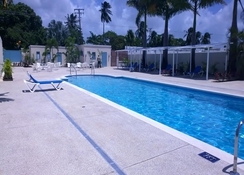 Guests will find themselves within easy access of a number of attractions in the area. The complex welcomes guests with a charming architectural style- welcoming them into the relaxing surroundings of the interior. The apartments are beautifully appointed- providing a refreshing home away from home in which to completely unwind. The apartments come complete with modern amenities for added comfort and convenience. The complex affords guests a wide range of excellent facilities- meeting the needs of every type of traveler. There is pool work going on at Halcyon Palm Barbados and we are taking the opportunity to do a full pool refurbishment during this time. The Pool will be closed for use to guests from November 8th – 27th 2017. 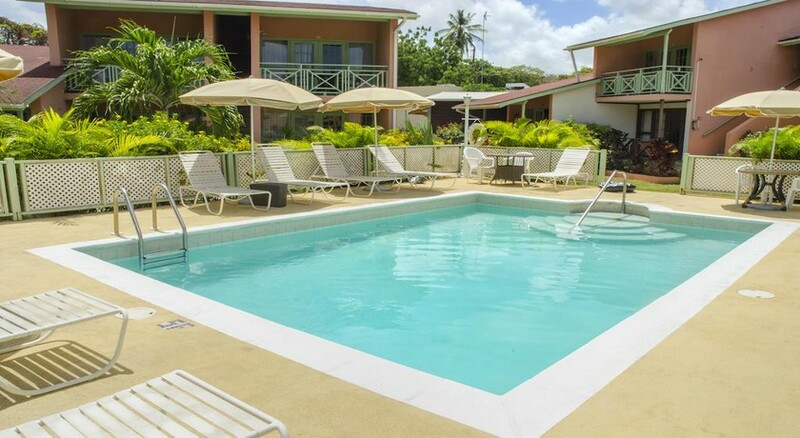 Our sister property, Travelers Palm, has a pool that is accessible to guests and guests also can use the oceanfront pool at the Beach House, a few minutes walk to the beach. 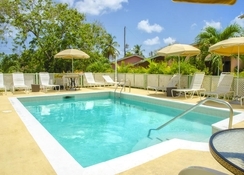 This pool is securely accessed and privately used by the Sunset Crest association and guests can obtain key cards from the reception at Travelers Palm. It has loungers, bathrooms and the bar and restaurant of the Beach House is part of the facility (food and drink charged directly). Note : The rate of room rate levy is increasing for all guests from April 1st 2019. 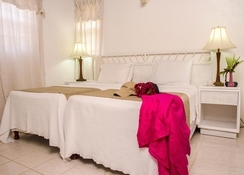 The rate for The Palms (Travellers Palm and Halcyon Palm) is increasing to US$4.38/Bds $8.75 per bedroom per night.